UPDATE: The winner of the free download from yesterday’s post is…Linda! Hey there! Yesterday’s contest is still open. And if you post on this blog today, that will give you a second entry! In the meantime, enjoy an excerpt from my story inside the upcoming 12-Alarm Cowboys! Believe me, you do not want to miss this box set! It’s sssssmokin’! 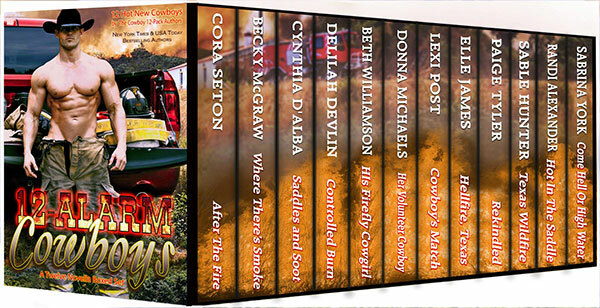 A Cowboy-Volunteer Firefighter helps a runaway city girl put out a car fire only to find himself embroiled in a hot little mess of ex-boyfriend persuasion. 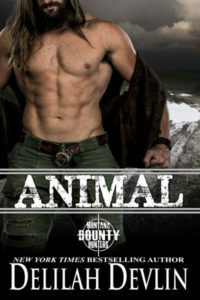 When offered a second chance to seduce his high school crush, cowboy/fireman Cade Silver cannot resist. 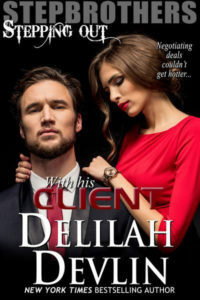 Despite her resistance, he is determined to win her, come hell or high water.